I should have known it wasn’t the mice. You would think that, after all this time, I would have worked out that mice aren’t responsible for every bad thing that happens in the world. After all, I am the smartest rat detective in all of Rodent City. But if I have learnt one thing in all of my many adventures, it is that everyone makes mistakes. Yes, I mean everyone. Even me – Octavius O’Malley. And this mistake would prove to be the biggest one I ever made. It would cost me almost everything. Octavius O’Malley returns in his third adventure. The detective rat makes one little mistake and he’s out of a job. No longer Chief of Police, he still has a mystery to solve. He sets up his shingle, co-opts an assistant and Octavius ‘Ocko’ O’Malley is in business. Something is not right. Cobblestones are disappearing from the streets, strange smells are wafting about, there’s talk of a new cult, and the maker of Ocko’s favourite doughnuts has gone missing. It’s something to do with cats, and Ocko sets out to get to the bottom of the whole ratty, catty, smelly, cobblestone-y business. Ben Redlich’s wonderfully wild drawings add to the fun. Ocko tells his own story, in first person with multiple asides. He reassures the reader that he’s in charge, in control and is generally the best and brightest detective in town. The reader knows better and can groan and eyeroll with Ocko’s over-worked and under-acknowledged sidekicks, Spencer and Patrick the Magnificent. These two are mice and only grudgingly accepted as assistants. Ocko is entertainingly flawed, with an infinite capacity for self-congratulation and an endless hunger for triple fudge chocolate-coated strawberry surprise doughnuts. Octavius O’Malley and the Mystery of the Criminal Cats is full of fun and humour and sure to be a hit with 9-12 year olds. We didn’t have to wait too long before we discovered how Radish earned her money. Number 88 was looking pretty posh by now. The new pink paint glowed like candyfloss. The new palm trees spread out like lime-green sun umbrellas. And on Saturday, Radish hung a purple sign above the gate. It said – Pet Palace. When a mysterious lady buys the house across the road and starts doing it up, Angie and Jeremy are intrigued. But when the owner puts up a sign saying “Pet Palace’, and all kinds of pampered pets start to arrive, they are desperate to see inside the house. Jeremy has a great idea – he dresses up as an animal welfare officer and visits the Pet Palace. But what the children see there is shocking. The animals are not being well cared for at all. Fortunately, Jeremy has another great idea to save the animals. Pet Palace is a humorous chapter book for 6 to 10 year old readers, with elements of mystery and adventure. 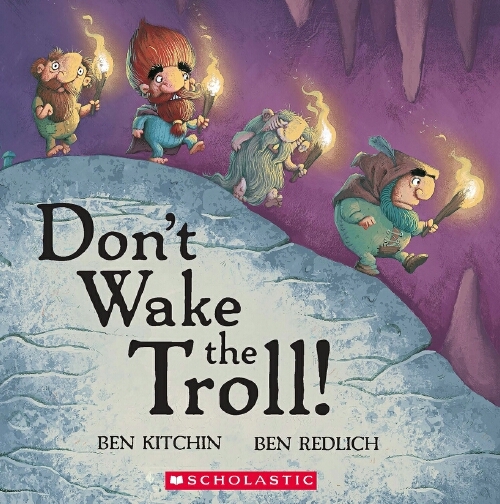 The text is easily accessible for readers new to the chapter book format and the cartoon-style illustrations, by Ben Redlich, are a fun complement. Pet Palace is part of Lothian’s Start Ups series. Jack is in a desperate situation. His space pod has crash landed on a strange planet filled with smelly creatures who think he is their god and want to keep him. Jack can only communicate with the aliens through his computer, Chipster, who is inbuilt into Jack’s space suit. As well as acting as his translator, Chipster also sends emergency messages, assesses dangers, and makes sure Jack does his homework. A fully trained pod pilot and space cadet at twelve years of age, jack dreams of being the Number One Space Cadet for his Year. But his chances don’t look so good right now – the aliens want to keep him to be their personal space god, and Jack can’t convince them that really he’s the same as them The same, only way different. His hopes of being rescued and getting away form this weird planet seem to be rapidly diminishing. Jack and the Aliens, by Damien Broderick, is a fun Quick Reads title from Word Weavers Press. These titles are aimed at reluctant readers and particularly boys, and Jack and the Aliens certainly meets its mark, with an appeal for children aged 8 to 12, who have made the transition from picture books but are not ready or willing to read longer novels. With plenty of comic illustrations by Ben Redlich, Jack and the Aliens is a great book for the reluctant reader.